Window Scraper is rated 3.9 out of 5 by 15. Rated 2 out of 5 by Mike68 from Not a Stanley product as advertised on the website Bought this as I was looking for a Stanley one but found it was just a similar product so felt cheated. It works ok but not happy with the misrepresentation. Rated 5 out of 5 by Youwantareviewyougotit from Haven't tried it yet What can I say, it's a Stanley blade attached to a plastic handle, what could possibly go wrong? I have had these before and they have always worked well, which is probably why they keep disapearing as they are so god. Rated 4 out of 5 by Susan99 from Window scraper Used to get silicone off bath and tiles, be careful when taking lid of blade, as blade tends to come off to. Rated 4 out of 5 by marshcowboy from cheap & cheerful Buy these in bulk to clean the glass on my log fire, does the job. Rated 3 out of 5 by Rowsky from It does the job ok Not as good as other window scrapers I use but it’s ok. I have to put a small piece of masking tape on the blunt side of the blade and carefully push it back into the slot or the blade will fall out in use. Rated 5 out of 5 by Trauma from Cheaper than chips! 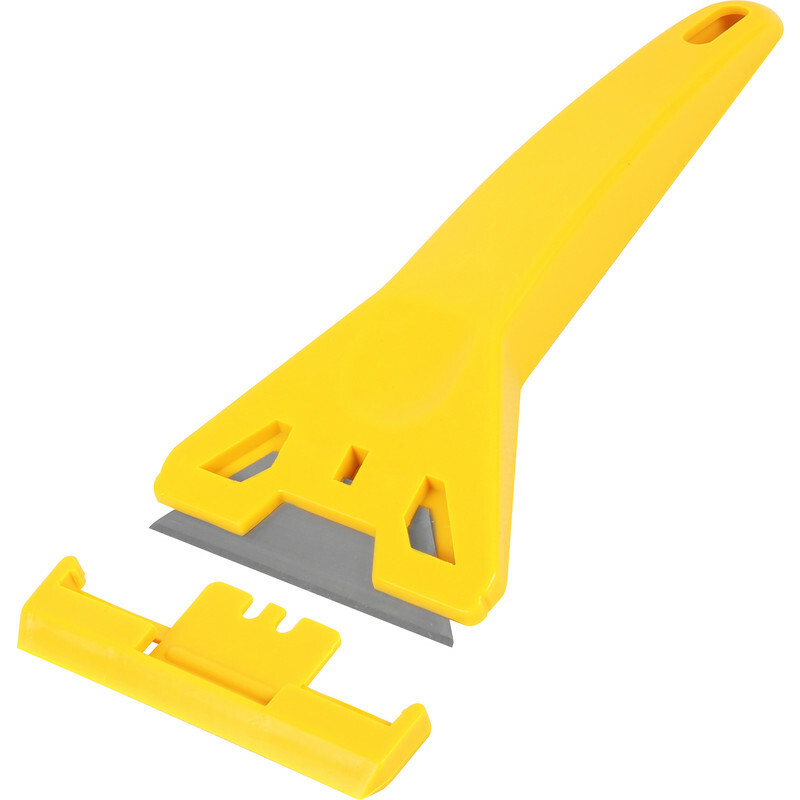 It's just a simple scraper but toolstation price.blade 'aint top notch steel carbide but it's changeable &it's marketed as primarily a window /glass scraper so who cares. Only minor niggle is the cap/cover has a tendency to remove the blade with it.. Rated 4 out of 5 by ic31420 from Cheap This is as cheap and chearfull as they come. But it works, it just lacks some refinement, the plastic is rough and has burrs. It feels week and flimsy, but I Havent bust one yet.